You should know these 3 loan types before you go mortgage shopping. Who they cater to: Conventional mortgages are ideal for borrowers with good to excellent credit. Rockland Financial will structure your deal for the easiest and smoothest loan process possible. Percentage of monthly income that is spent on debt payments, including mortgages, student loans, auto loans, minimum credit card payments, child support etc. This percentage is much more conservative for conventional mortgages than it would be for FHA. Closing costs, down payments, mortgage insurance, interest and points can mean the borrower has to show up at closing with a sizable sum of money out of pocket. Find out more about closing costs, the loan process and how to save money. Pros: Conventional mortgages generally pose fewer hurdles than FHA-Federal Housing Administration or VA-Veterans Affairs mortgages, which may take longer to process. Cons: You'll need excellent credit to qualify for the best interest rates. Lower FICOs can impact the rate depending on amount of down payment and/or loan to value. How they work: The Federal Housing Administration does not lend money. It insures the mortgages. The FHA allows borrowers to spend up to 56% or 57% of their income on monthly debt obligations, such as mortgage, credit cards, student loans and car loans. In contrast, conventional mortgage guidelines tend to cap debt-to-income ratios at around 45% and sometimes less. FHA borrowers can do minimum down payments of 3.5%. Borrowers can also qualify for FHA loans with credit scores of 580 and sometimes even lower. The good: FHA loans are often the only and best option for borrowers with high debt-to-income ratios and low credit scores. The not so good: FHA mortgage insurance premiums usually are higher than premiums for private mortgage insurance. To get rid of FHA premiums, you must refinance the loan. Who they're for: Most active-duty military and veterans qualify for Veterans Affairs mortgages. Many reservists and National Guard members are also eligible. Spouses of military members who died while on active duty or as a result of a service-connected disability may also apply. How they work: No down payment is required from qualified borrowers buying primary residences. The VA does not lend money but like FHA actually guarantees loans made by private lenders. The VA allows sellers to pay closing costs but doesn't require them to. So the buyer might need money for closing costs. Borrowers may also need money for the earnest-money deposit. What's good: VA borrowers can qualify for 100% financing. Veterans do not have to be first-time buyers and may reuse their benefit. What's not as good: There are limits on loan amounts. The limits vary by county and State. Contact me at any time, I am always available and happy to help in any way that I can. What is a mortgage pre-approval? In a nutshell, a mortgage pre-approval is written assurance from a lender or broker that you’re able to borrow money to purchase a home up to a certain amount. Rockland Financial will happily provide such a letter once we have had a chance review all the pertinent information. 1. Without it, most agents won’t work with you. Makes sense, too. Right? Think about it: when you hire an agent, he/she will invest countless hours showing you homes over the course of your house hunt. No one wants to spend valuable time showing you homes for $500,000 when you only qualify for $350,000 and vice versa why would you want to spend your time looking at homes out of your price range. 2. You’ll know how much house you can afford. Getting pre-approved before you begin house hunting allows you to know how much house you can realistically afford and thus allow you to focus your energy in the right direction. This kind of goes hand in hand with number 1. 3. It adds clout to your offer. That’s because pre-approvals instill confidence that the buyer is financially capable of purchasing their home. If a seller has multiple offers, which is fairly common these days, they will tend to lean toward buyers who are pre-approved. And why wouldn't they? 4. It saves time. Obtaining a mortgage is sometimes a lengthy process. 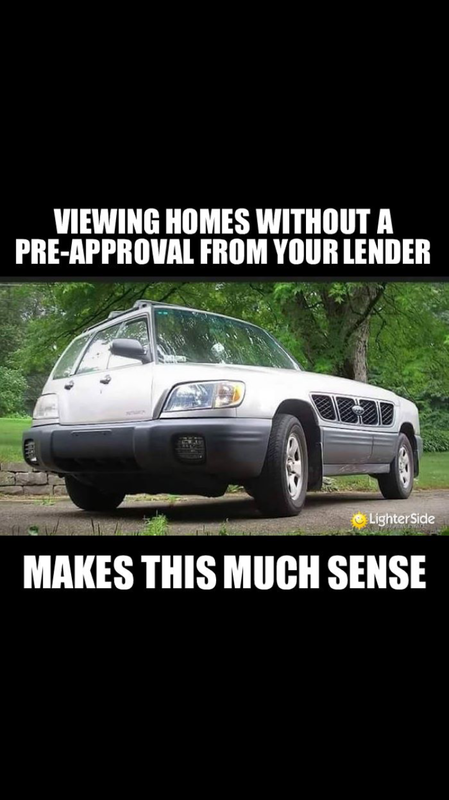 Getting pre-approved ahead of time shortens the time between contract to close. 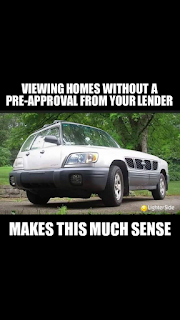 A pre-approval is so valuable because this means that Rockland Financial has actually checked your credit and verified your documentation to approve a specific loan amount and purchase price. These are just some basic items and overview of what to expect, the pre-approved link above has a complete list. Contact me, I would be happy to walk you through all your options and answer any questions or concerns that you might have. - visit us on Yelp! 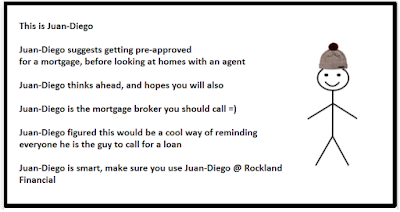 I am Juan-Diego Currea from Rockland Financial and i just wanted to take a couple of minutes to share with you, which i do on occasion. When I share you will notice it isn't always about real estate but I do try and share stuff that I think is useful for everyone, ranging anywhere from mortgages, to credit, to investing as evidenced here or something cool I may have done (hope those don't bore you). Anyhow enough about me, on to the sharing I spoke of. 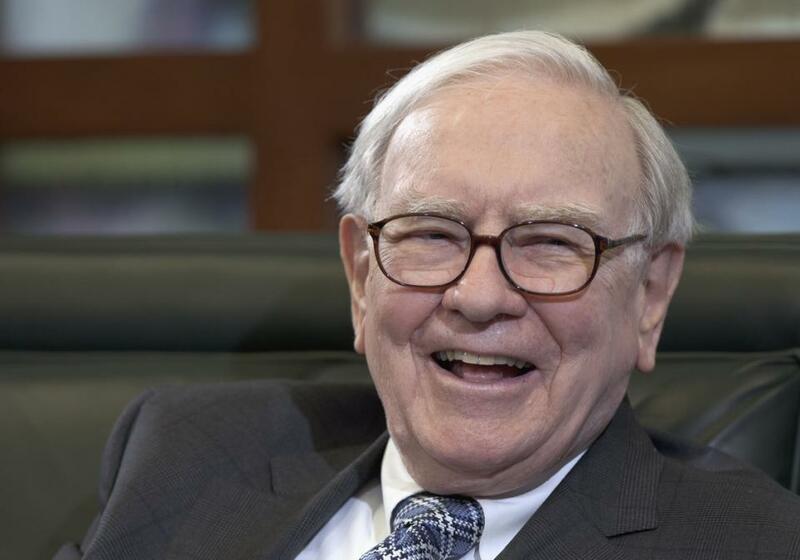 Most of you know who Warren Buffett is and if you don't, you should. Google him, he is in this humble Mortgage Broker's opinion the most successful and intelligent investor of an era. When Warren offers investing advice, everyone listens. 1. The worst investment you can make over time: cash. Keep enough cash around so you feel comfortable and don't worry about sleeping at night. But it's not because he likes cash as an investment. Cash is a bad investment over time. But you always want to have enough so that nobody else can determine your future essentially. 2. Invest in a broad-based index fund that tracks the S&P 500. If you are a professional and have confidence, then tread softly and with care. For everyone else, the idea is to participate in total diversification. The economy will do fine over time. Make sure you don’t buy at the wrong price or the wrong time. That’s what most people should do, buy a cheap index fund, and slowly dollar cost average into it. 4. If you’re determined to pick stocks, don’t buy into a business you don’t understand. [Individual investors] ought to think about what he or she understands. Say they you are going to put your whole family's net worth in a single business. Would that be a business they would consider? Or would they say, "Gee, I don't know enough about that business to go into it?" If so, they should go on to something else.... Keep in mind that not even Warren and his people fully understand and I don't think that causes them to stay up at night. It just means you go on to the next one, and that's what the individual investor should do. 5. Focus on the competition as well. [Buying stock in a company is] buying a piece of a business. If they were going to buy into a local service station or convenience store, what would they think about? They or you would think about the competition, the competitive position both of the industry and the specific location, the person they have running it, a niche or lack of, is it up and coming, is it established as always due diligence and research don't just jump into anything blindly. 6. Invest for the long haul. “If you aren’t willing to own a stock for 10 years, don’t even think about owning it for ten minutes” I have heard this since I was a kid, I didn't realize this was one of the guys that preached it. It's so true, almost every investment chart or graph shows ups and downs but over the long hall it's almost always at the end of the day, steadily going up... if you have it long enough. 7. The hardest part about investing: trusting yourself. When I first started with Rockland Financial it was almost a leap of faith, but here i am 20 years later and still going strong. You need to divorce your mind from the crowd. The herd mentality causes all these IQ's to become paralyzed. Smart doesn't always equal rational. To be a successful investor you must divorce yourself from the fears and greed of the people around you, although Warren thinks it is almost impossible. Most of this is right from Warren's mouth, some I paraphrased. He is someone I admire and well, I thought I would share some of what I read recently, although I am sure these are old ideas they still hold true. * visit us on Yelp!